The Artisan April Facebook Showcase has come around already! We're flying through this year so quickly. Cliche I know - but it really does seem to happen every year! Welcome if you've come through from Facebook - did you know we do weekly blog hops? 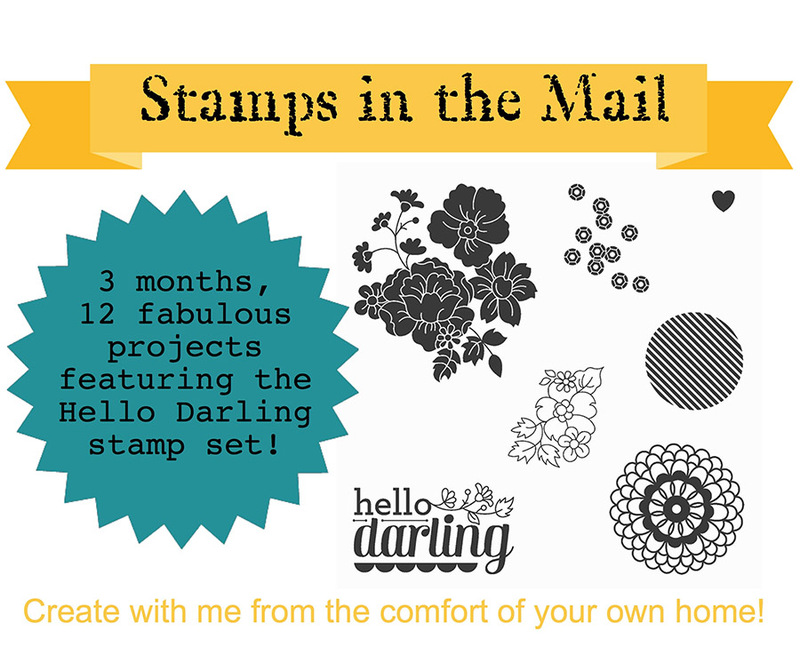 Check back next week for more inspiration from our Stampin' Up! International Artisan Design Team. 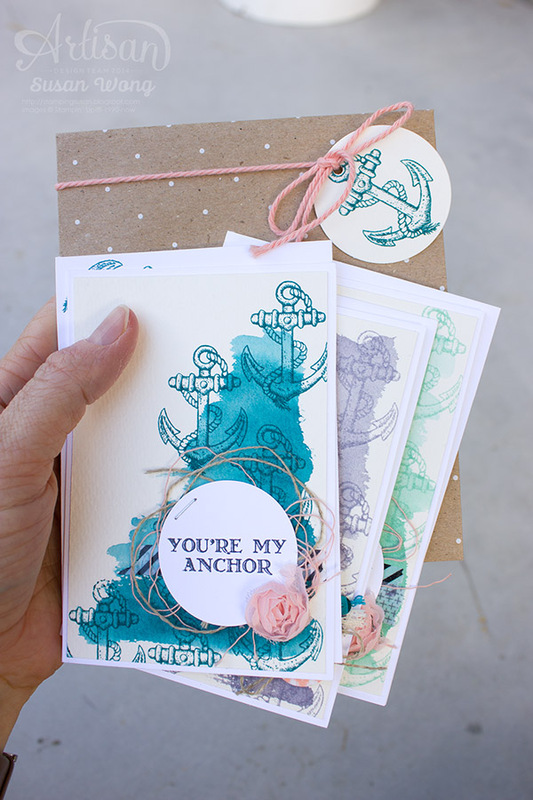 Winner announced on next week's Artisan Blog Hop post. Winner will have 24 hrs to make contact with shipping address or will forfeit prize. Time to hop through to the talented Teneale! WOW oh WOW these cards are ROCKING!!! 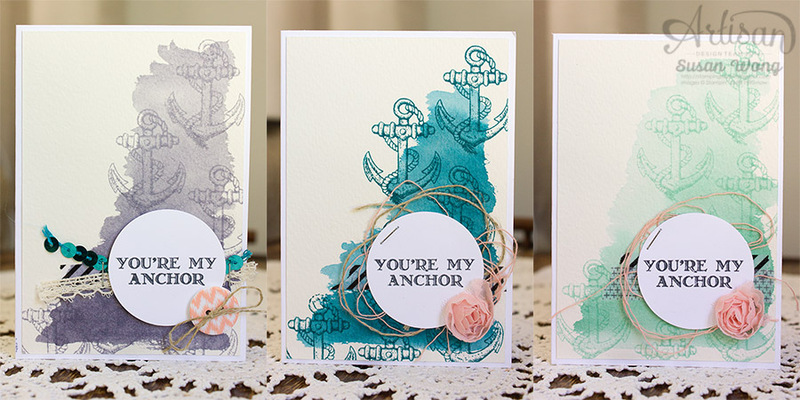 Love the anchor and what you've done with it, that little spray of twine and the rose and the watercolourbackground.... all AMAZING!!!! Hope I can win one stateside! Last weeks blog totally convinced me! 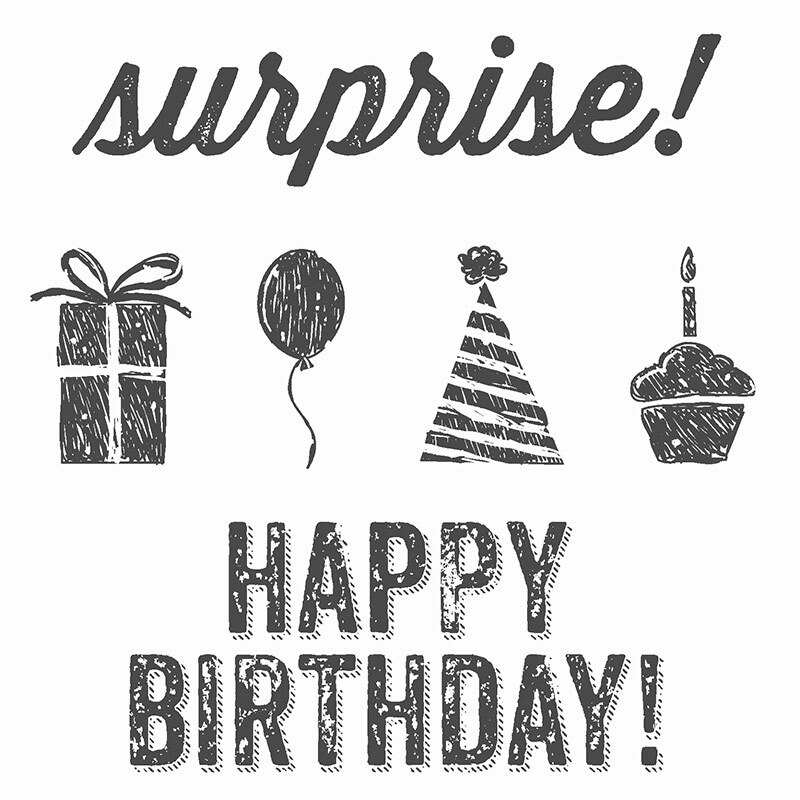 and great cards - cant wait to get my guy greetings! 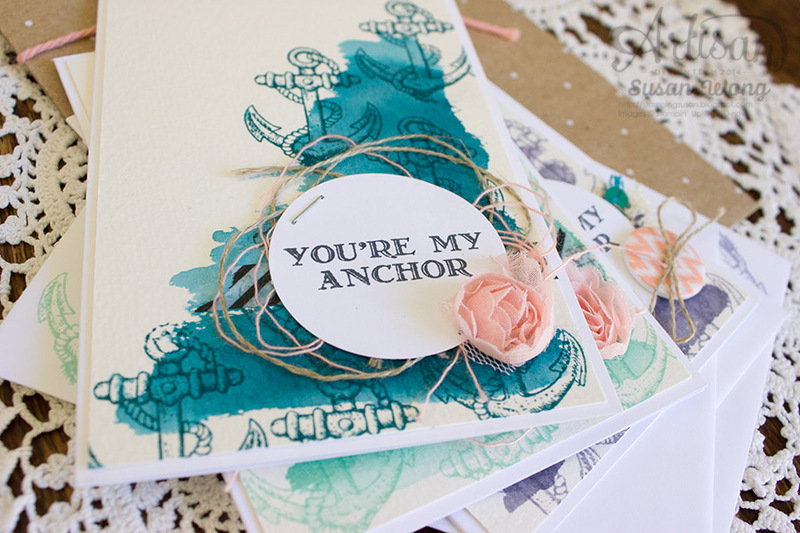 I follow the Artisan blog hop every week now. Very inspiring! Magnifiques ! Ce combo de couleurs est superbe !! !